He is a national hero in his native Slovenia, an athlete who is loved by young and old. The feeling is more than mutual for Anze Kopitar. In the weeks leading up to the 2014 Winter Olympics in Sochi, Kopitar spoke with great pride about his country and countrymen, reciprocating the widespread praise he continually receives. 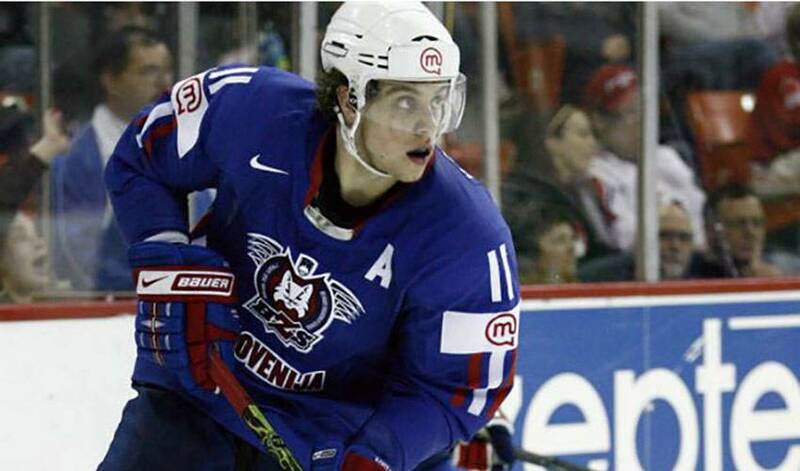 How does that make Kopitar, whose father, Matjaž, is the Slovenian men’s hockey team coach, feel? Especially, when the 26-year-old forward has the chance to speak with aspiring NHLers. Ranked 17th by the IIHF, Slovenia isn’t expected to skate away with a medal at the Olympics, but they have proved the naysayers wrong to this point, advancing to the quarter-finals. Kopitar, however, isn’t ready to concede defeat. And what will he be thinking when he puts on the Slovenia jersey prior to their quarter-final game against Sweden on February 19th? When the puck does drop in the quarters, Kopitar will certainly have plenty of people cheering for him and his teammates, about 2-million, the entire population of Slovenia, as they have the entire tournament. And their most famous hockey player.